Though rare, deadly fungus is on the rise here and elsewhere in the country. “That may be because of changes in the environment and a larger pool of vulnerable people with suppressed immune systems because patients are living longer with serious illnesses,” says the NY Times. The CDC estimates that 75,000 patients died from infections picked up in hospitals last year. Prior to the most recent outbreak, the hospital hadn’t had a case of mucormycosis in the last 15 years. This particular fungus is 90% fatal in its severest form, and tends to target people who are ill already. 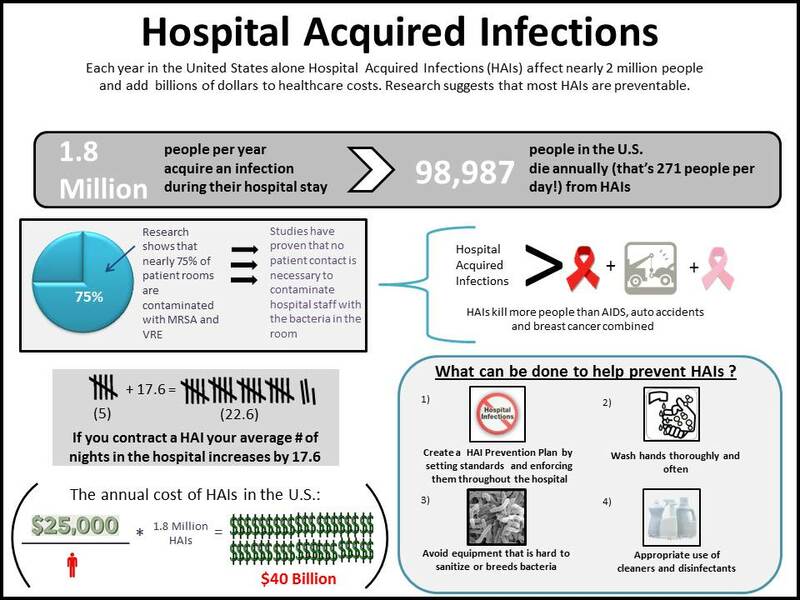 Roughly 1.8 million people develop a hospital-acquired infection in the U.S. each year. “What haunts me more than anything is thinking about what he suffered,” said the father of the late 13-year-old, Zachary Malik Tyler. The boy came to the ER with a recurrence of a cancer-like condition that caused widespread tissue damage. His immune system had been suppressed due to chemotherapy, so he was a prime target for the fungus that had just claimed its first victim six months prior. What started as a black spot in his armpit spiraled into sores on his lower back. Doctors moved skin and muscle from his chest and thigh, operated on his stomach, and performed a colostomy in an attempt to curb the unsightly infectious wounds. In their formal notes, the doctors wrote that Zachary’s pain was “quite intensified” following the skin grafts. He died of “multiple causes” on May 17, 2009. It took the hospital nearly a year to connect the dots, but the outbreak underscored the need for better procedures to curb deadly infections in patient care settings. For starters, the 40,000-square-foot washing center was just the sort of dark, moist environment where fungi could really thrive. The owner of the offsite laundering center had replaced drywall and flooring following Hurricane Katrina, but never hired mold inspection experts to give the facility a clean bill of health. Records showed they did not have outside inspectors come in, as many other health care centers do, and that there were no air filters on the ductwork to block outside mold and dust from entering the facility. Furthermore, after pouring over emails, patient records, and legal testimony, investigators found that outbreaks may have gone undetected because infection control policies were lax and the handling of contaminated linens was sloppy, at best. For instance, hospital workers unloaded clean linens on the same dock where medical waste was removed. Clean and soiled linens were transported on the same carts. In some instances, hospital washcloths were being used as cleaning rags, mop heads and linens were washed in the same machines, and dirty towels were fished out of trash bins and put back into circulation. At one time, soiled linens were transported in plastic bags, but the practice was abandoned when it was deemed “too cumbersome” for housekeeping staff members. Hospitals typically only sterilize linens that have been used in operating rooms. Hospital sheets and towels are typically only washed and bleached, which doesn’t always kill the more resistant pathogens. Following the epidemic, it was discovered that the cleaning chemicals were too weak, and the water temperatures were too low to be hygienic and prevent the spread of pathogens. Since these discoveries, many protective measures have been added — but for families like the Tylers, it is already too late. When you’re in a hospital setting, you’re at the mercy of health care officials and their policies. At home, however, you have much more power over how many microbes you come into contact with. One of the tools you can use to combat and kill fungi (including deadly fungus like MRSA!) is the SteriShoe ultraviolet shoe sanitizer. Our clinically-tested, podiatrist-recommended shoe sanitizing devices deliver UV light to your footwear, while inside protective shoe bags, thus killing up to 99.9% of the bacteria, fungi, and viruses found there in one 45-minute cycle. We recommend daily use to cover all bases. Since shoes are our link with the external world — and they are notoriously hard to clean — the SteriShoe UV shoe sanitizer fills a gap in the battle to live in a more sanitary world. Try one risk-free for 30 days to see if you like it.